Locations Skellige, particularly at night during full moon. Ulfhedinn is an Creature/Monster in The Witcher 3: Wild Hunt. "Ulfhedinn? What's that, some kind of fish? 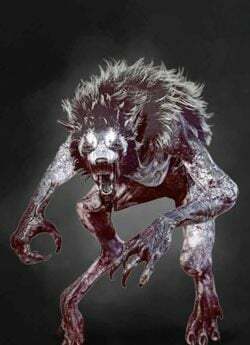 Ulfhedinn are a breed of werewolf found mainly in Skellige. The harsh and barren conditions of the isles might explain why they primarily hunt men and are stronger than their Continental brethren. Older and particularly dangerous ulfhedinn are called vorefs. Only a few daring warriors in all of Skellige history have managed to defeat an ulfhedinn, and each of them is commemorated in ballads as a hero to this day." Found in: Skellige, particularly at night during full moon.